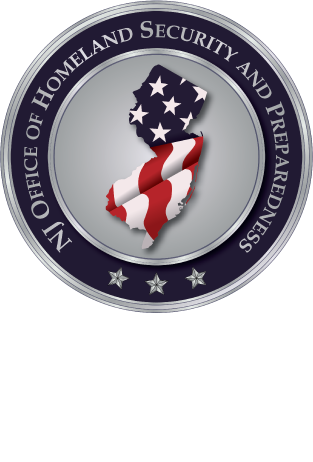 In May 2017, NJOHSP hosted over 250 federal, state, and local intelligence and law enforcement, academic, and private sector partners for the 2nd Annual Domestic Terrorism Conference. The event provided a forum to discuss the threat of extremists and groups aligned with race-based, single-issue, anti-government, and religious ideologies in the United States. Over the next several weeks, you will hear from some of the experts who shared their research and insights at the conference. In today’s episode, Clint Watts joins Intelligence. Unclassified. once again to discuss his recent testimony before Congress concerning Russia’s strategy to disrupt the United States and the active measures being used by Russia to distribute political, financial, and social messages. In advance of the New Jersey primary on June 6, Erin Henry, Principal Planner in the Preparedness Bureau at NJOHSP, sat down with Michael Geraghty, State Chief Information Security Officer, and Robert Giles, Director of the State Division of Elections, to discuss New Jersey election systems security and efforts in New Jersey to keep these election assets secure and the voting process free from interference. Although there are no specific or credible threats to election systems in New Jersey, the FBI confirmed cyber attacks on voter registration systems in Arizona and Illinois in 2016. Today, as we welcome you back to Season 2 of Intelligence. Unclassified., Rosemary Martorana is joined by NJ's Chief Technology Officer Dave Wienstein, NJOHSP's Director of Cybersecurity Steven Branigan, and NJCCIC Director Mike Geraghty who discuss what GRIZZLY STEPPE actually is and what efforts are being put forth in New Jersey to secure our digital footprint. Join Josh, a Cyber Intelligence Analyst with the New Jersey Cybersecurity and Communications Integration Cell (NJCCIC), as he explores the history and intricacies of the Dark Web in Episode 31 of Intelligence. Unclassified. Director Chris Rodriguez and Deputy Director Steve Gutkin met with members of the Cardozo Society—a group where legal professionals can network, share experiences and come together as a Jewish community—at the offices of Wilentz, Goldman & Spitzer to discuss the diverse security challenges the US will encounter over the next decade, from homegrown extremism to the evolving global threat landscape. NJOHSP's Dave Weinstein spoke at the MidJersey Chamber of Commerce Cyber Security Forum at the Mercer County Technical School about the importance of public/private sector partnerships, how to implement best practices and a cybersecurity culture at work, threats to small businesses in New Jersey, and what the New Jersey Cybersecurity & Communications Integration Cell (NJCCIC) has to offer its members and New Jersey residents. NJOHSP’s Dave Weinstein kicked off the Texas A&M Engineering Extension Service (TEEX) training for public and private sectors on Cyber Implications for Critical Infrastructure. This course is sponsored by NJOHSP and NJCCIC.